French: Paruline a capuchón; German: Kapuzenwaldsänger; Spanish: Reinita Encapuchada. 5-6 in (12.7-15.3 cm). Dark olive above, yellow below, and a yellow face. Conspicuous bristles at the angles of its fairly wide bill. Male also has a black cowl that extends from his throat to the top of his head. Breeds in the eastern half of the United States from the Gulf states north to central Iowa, Ohio, and parts of New York. Winters in Central America. Undergrowth of mature deciduous woods. Like a flycatcher, the male often catches flying arthropods on the wing. The females, however, generally forage on foliage and branches nearer ground level. The male's loud ringing song, "wee te wee tee o," proclaims its presence in thickets, often near water. Unlike most other warblers, the sexes frequently segregate in the wintering grounds. It builds its nest among bushes and climbers. 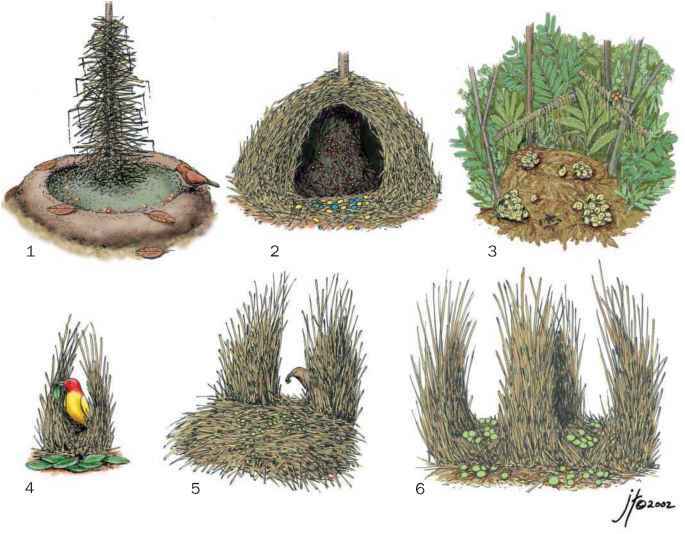 The nest itself is firmly built of leaves and grasses and lined with rootlets or fine grass. The female lays three or four speckled eggs, similar to those of many other wood warblers. The young hatch a little more than a week later. This species typically produces two broods a year.